I LOVE anything personalized, which may seem a bit odd since I am very protective of my cuties identities (hence the photoshoped out name on "Evie's" bunting). I also love items that can be used over and over and over. 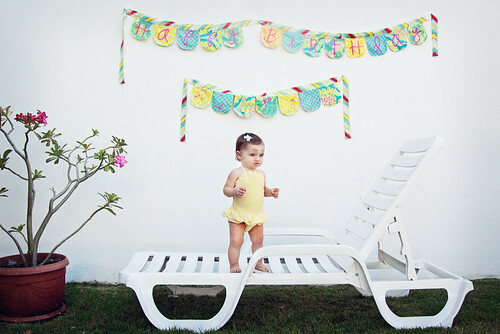 The fabric birthday banners that have become so popular fit both these requirements! AND bonus it doesn't take very much material woo hoo! It does take some patience (are we seeing a pattern here in No Mans Land lately? Ha!) If you have a boy you can totally do it in fun fabric for him. 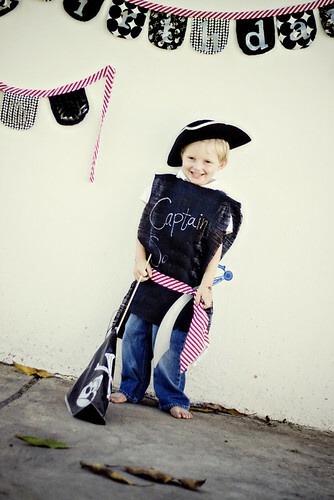 You can see Sawyers in the background of this pic from his pirate birthday party. My friend Elizabeth made it for him and I believe she makes them to order in her Lil' Abner Etsy shop. 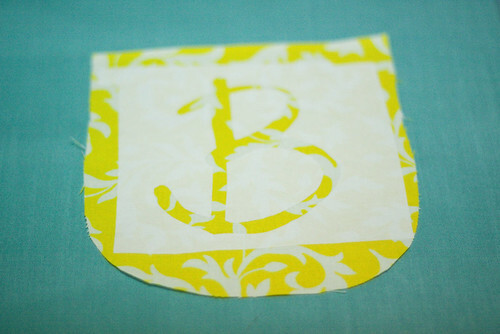 Using your exacto knife trace around your letter all the way around eventually cutting out the letter from the freezer paper. (It helps to keep the exacto knife more upright and pull as smoothly as possible) I of course chose a super hard cursivey font so I had to keep the little sections inside the letters. When I was done with each letter I would take one of the paper clips and secure all the little bits together and set them to the side. 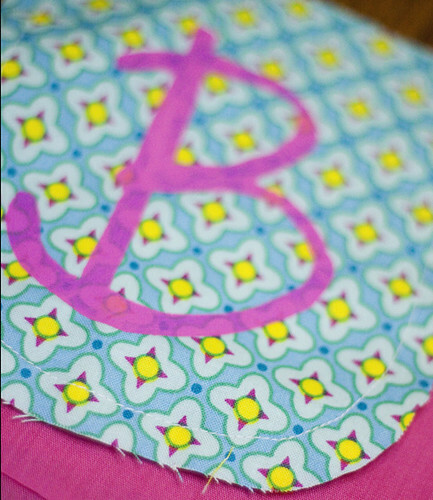 Once you have all your letters cut out and ready to go, gather your template, the fabric you have picked out and your regular scissors. I went with a smattering of Heather Baileys Sugar Mallow. I did not, however, want to use this on front and back (who really looks at the back right?) so, I also gathered 3 coordinating colors. 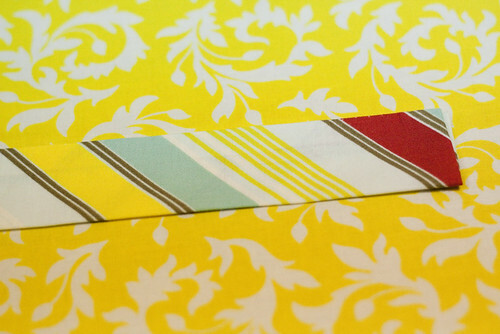 You will need less then a half a yard of fabric of the priject, excepting the fabric you select to run across the top. Depending on the length of your child's name you may need more then a half a yard of this (half a yard was perfect for Evie who's real name has 7 letters) Once you have those gathered you are going to do a bit of math. Count up how many letters you will be using total, mine was 20. Now count up the number of various fabrics you have, I used 4. I knew I would then need to cut out 5 templates of each of the fabrics to have a nice even pattern. If you would like to have blank ones either at the ends or inbetween words take this into consideration. Once you have organized this cut out your templates. Then go back and place your inside pieces in the correct position (consulting your printed out letter if you need to) and iron them down. Oh and I have a picture for that step because it is totally a tricky one ha! I laid my pieces out on cardboard since I new the paint would leak through and went to town. Sorry for the lack of pictures for this last part I cannot for the life of me find them. It has been driving me nuts all day. Luckily it is sooo simply you will totally be fine I am sure :) Once you have your LONG "bias tape" ready to go head back over to your work table and spread it out. I like to separate it into two separate banners, one for Happy Birthday and one with their name. That way I could use it for my birthday or a friends birthday etc. 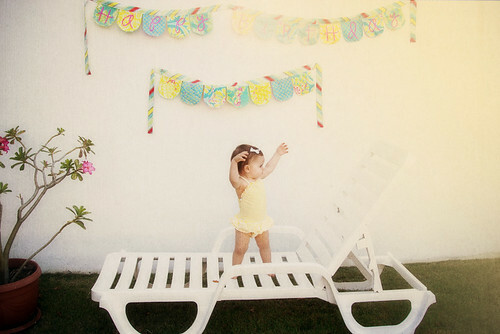 and if I wanted I could keep Evie's name up in her room year round!. Always thinking I tell yah J/K. To find where you needed to cut you can lay out all the U pieces in order with the amount of spacing in between that you like and then snip with how ever much extra you want on each end. This is all very vague I know but it is pretty arbitrary. Now that you have your two seperate pieces we are going to pin your U's into place. They should slide nicely up into the ironed fold we created and you can pin them either on both sides or in the middle which ever is easiest for you. Once it is all pinned head to your sewing machine and you are going to topstitch all the way down making sure to fold under you edges to get nice clean ends AND that the letters stay nice and tucked up in that fold. Thats it! You are ready to party! Now I know this is a ton of work and you have to decide if it is worth it or not. If you think it is a little much I thought I would send you to an AMAZING printable on the Ruffled blog. It can be found HERE. 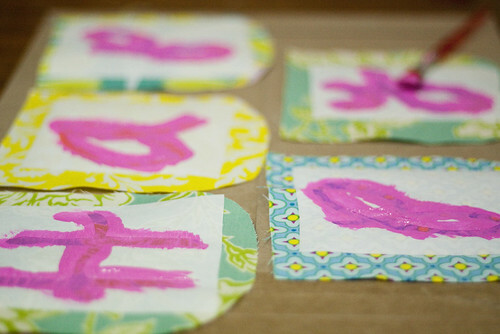 They are THE cutest printable bunting letters I have ever seen. We printed one out for when Daddy came home from Singapore and then were so excited we forgot to put it up grrrr! 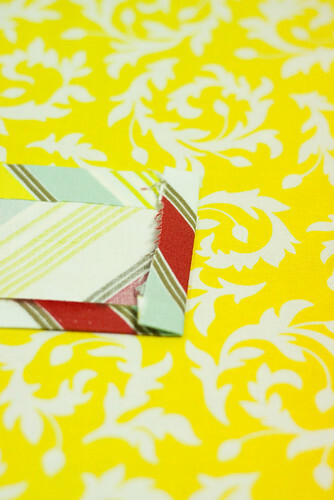 It is perfect for any occasion and takes all of two minutes to print and cut. AND if you have some of that Twinery Twine it looks stellar attached to it! So take your pick, reusable or recycable both are great! 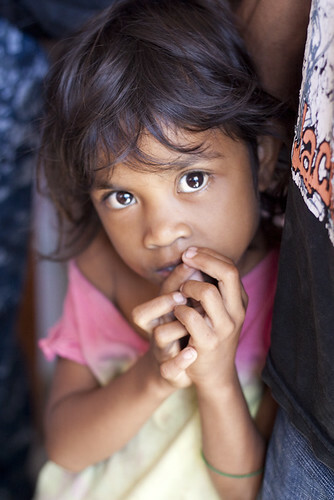 Don't you just ache to take her home? PPS I am hoping to have the dress tutorial up over the weekend. The pattern will certainly be up before Monday. What fun banners. Thanks for the tutorial. Ooh I love it! Thanks so much for the great project. I'll be spreading the word!